Novruz Mammadov was born on March 15, 1947 in the Shikhmahmud village in the Babak region of the Nakhchivan Autonomous Republic, Azerbaijan. Mammadov graduated from high school in 1964. He studied French at the Azerbaijani Pedagogical Foreign Languages Institute (APFLI). After that, he worked as interpreter and senior interpreter in Algeria (1967–1968), in Guinea (1971–1973), and again in Algeria (1978-1981). He received a PhD in Philology in 1991 from the Azerbaijani Pedagogical Foreign Languages Institute (APFLI). In 1992-1993, Mammadov worked as dean of preparatory faculty at the APFLI, in 1993-1997 - dean of the French language department. He worked as French language interpreter to the President of the Republic of Azerbaijan (late Heydar Aliyev) in 1995-1997. 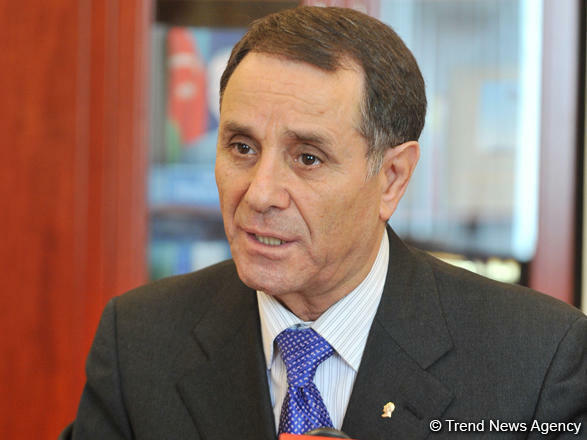 On April 12, 1997, Mammadov was appointed the head of Foreign Relations Department of the Administration of the President of the Republic of Azerbaijan. In 1998, Mammadov was awarded the French Legion d’Honneur Order by Jacques Chirac, the former President of the French Republic. In January 2002, he was awarded the rank of Extraordinary and Plenipotentiary Ambassador under the presidential decree. Since September 2005, he is a member of the National Commission of Azerbaijan for UNESCO. In 2007, he was awarded Shohrat Order by the decree of Ilham Aliyev, the President of the Republic of Azerbaijan. In 2009, he was awarded the Polish Legion of Honor by the Order of (late) Lech Kaczynski, the President of Poland. On March 13, 2017, Mammadov was awarded the Sharaf Order by the decree of President Ilham Aliyev. Since June 1, 2017, he serves as the assistant to the President for Foreign Policy Issues, and head of Foreign Policy Department. On April 21, 2018, the Parliament of Azerbaijan approved the candidature of Novruz Mammadov as the prime minister of Azerbaijan. Mammadov is fluent in French, Russian, English and Turkish languages. He is married and has three children.